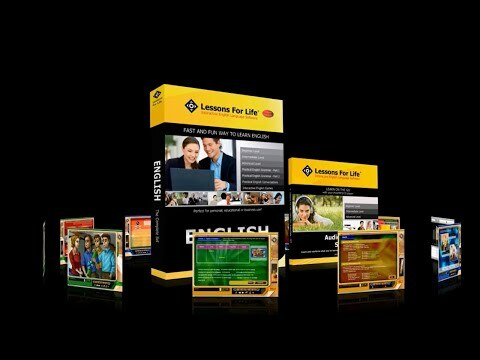 For learners who are serious about mastering English, our flagship product, The Complete Set, offers the most comprehensive learning experience on the market. 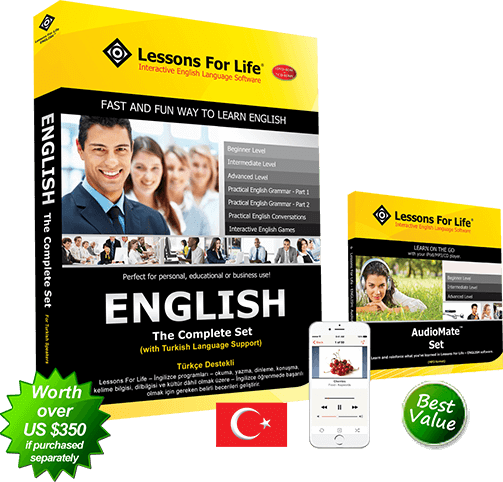 This customized version was designed specifically with Turkish speakers in mind and comes with complete Turkish language support. 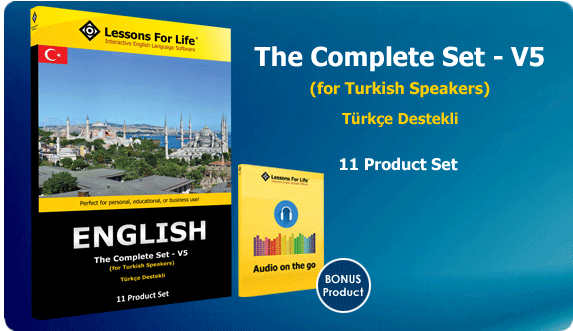 Like the original Complete Set, the Complete Set for Turkish Speakers boasts a fully immersive, multimedia-based experience that caters to all learning styles. 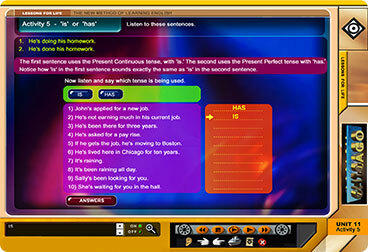 With a user-friendly interface that is simple and intuitive, learners will enjoy a seamless, rewarding experience. 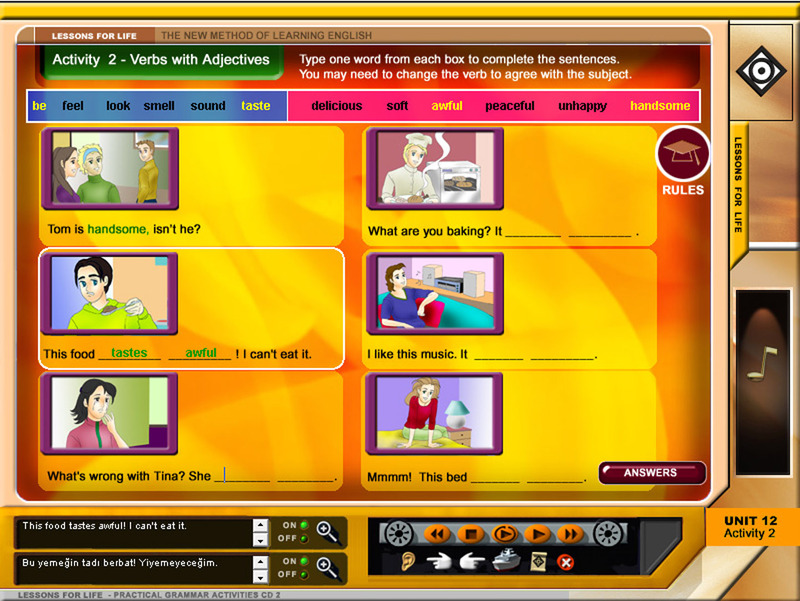 Guided assistance in Turkish makes learning simple. 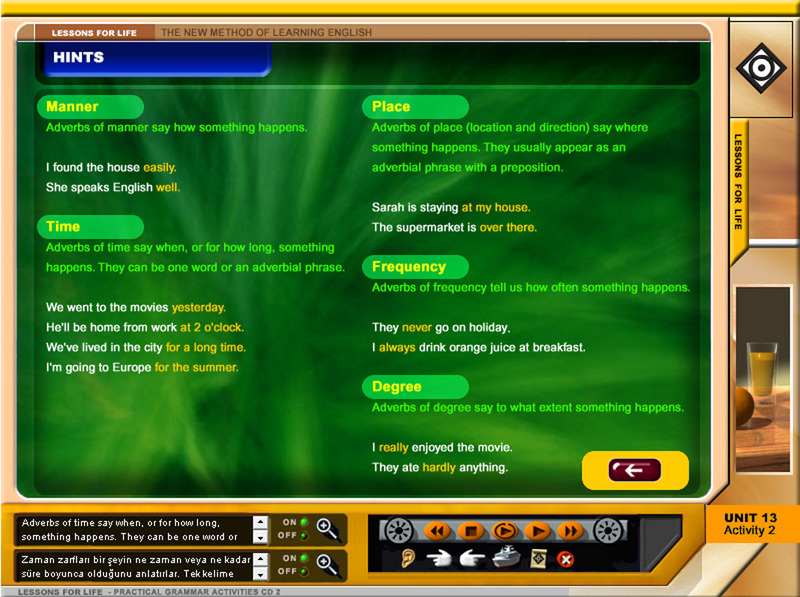 Full Turkish translations are embedded within the software and can be turned on or off as an optional feature. 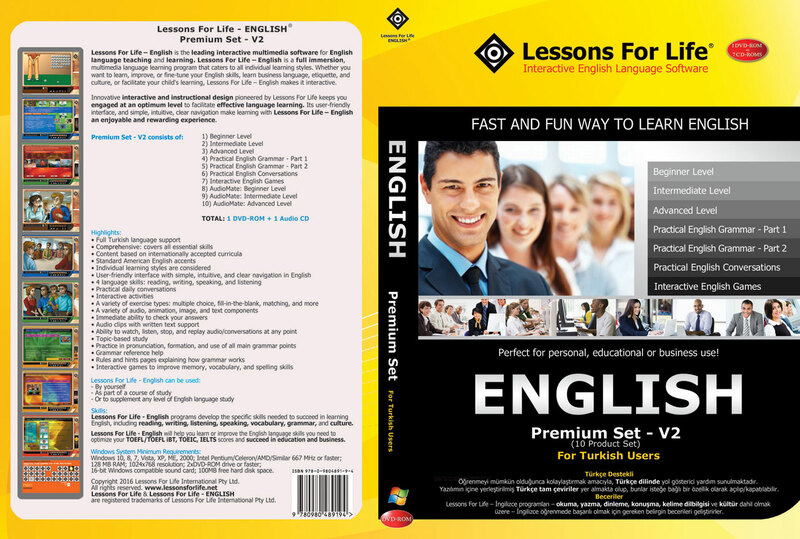 Our learning system offers all the same features you love in Lessons for Life – English: The Complete Set, with the bonus of full Turkish language support. 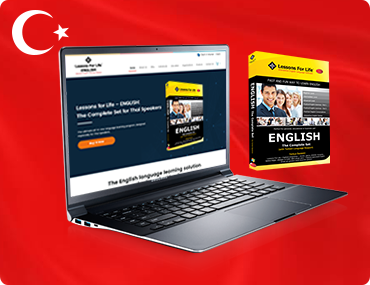 With The Complete Set for Turkish Speakers, you can click the Turkish support box for a direct translation whenever you want, allowing you to move through the most challenging sections with ease. 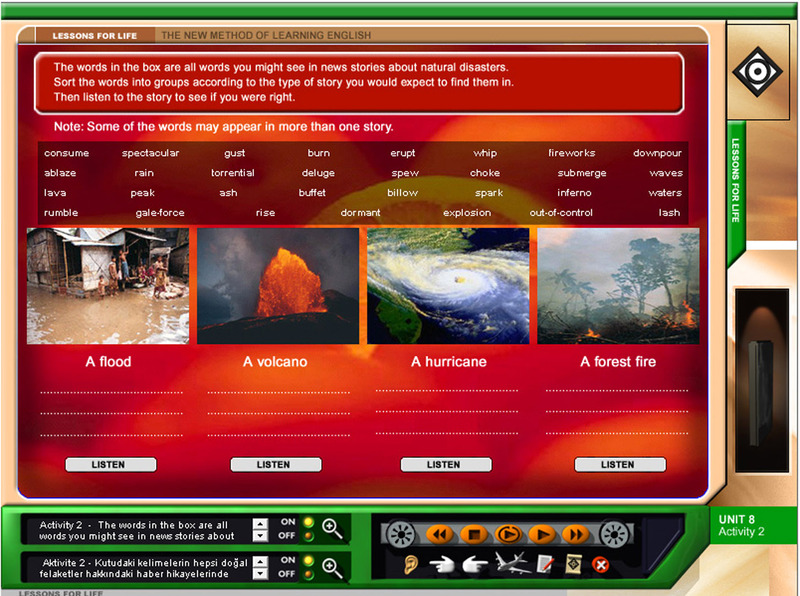 This feature can be turned on or off, so that it never becomes a hindrance on your learning but is always there when you need it. 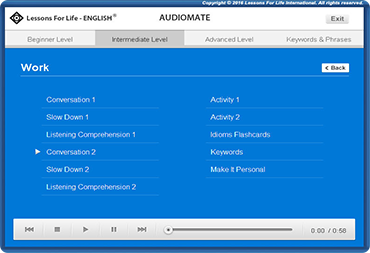 Plus, when using AudioMate: Beginner level, you will have access to Turkish audio translations. 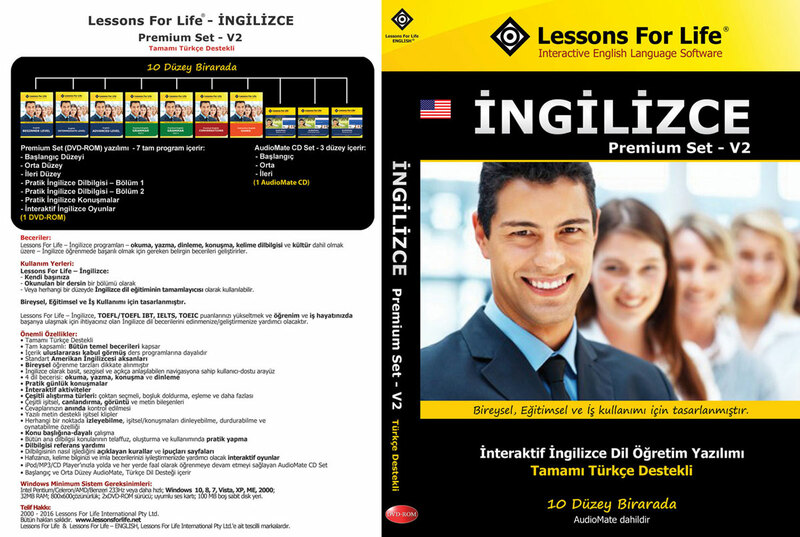 You will hear English audio lessons first followed by Turkish audio translations. 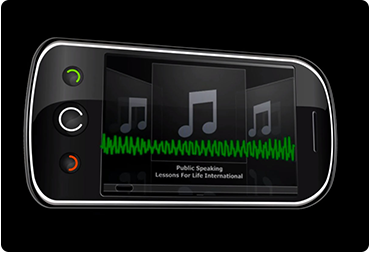 By presenting subjects through natural conversations with native speakers, you will be able to practice English in realistic situations. AudioMate also comes equipped with full Turkish support. 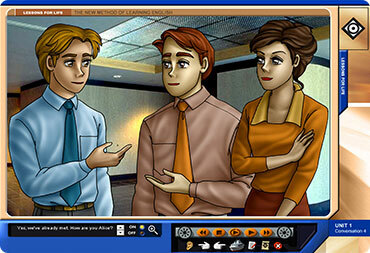 We offer DVD-ROM licenses for stand-alone computers and multi-computer laboratories. 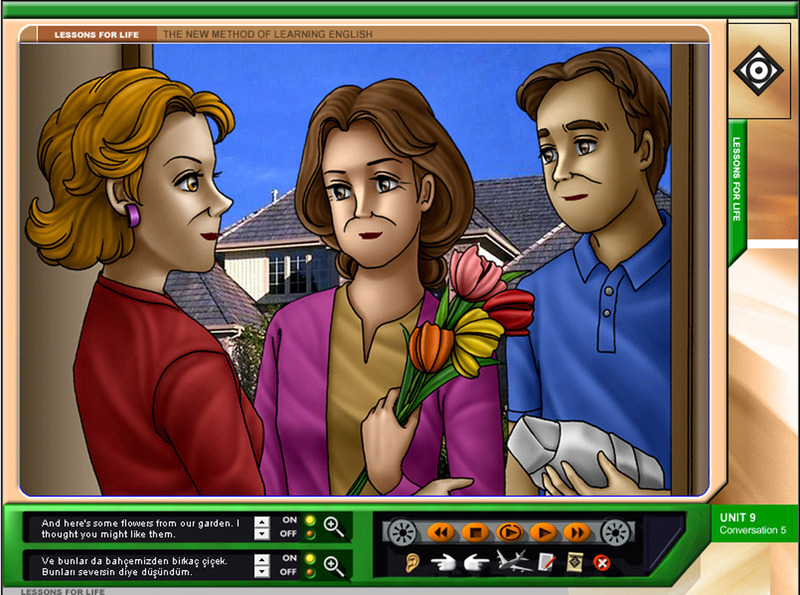 Our software is compatible with Windows computers, making it an accessible and affordable option for any budget. 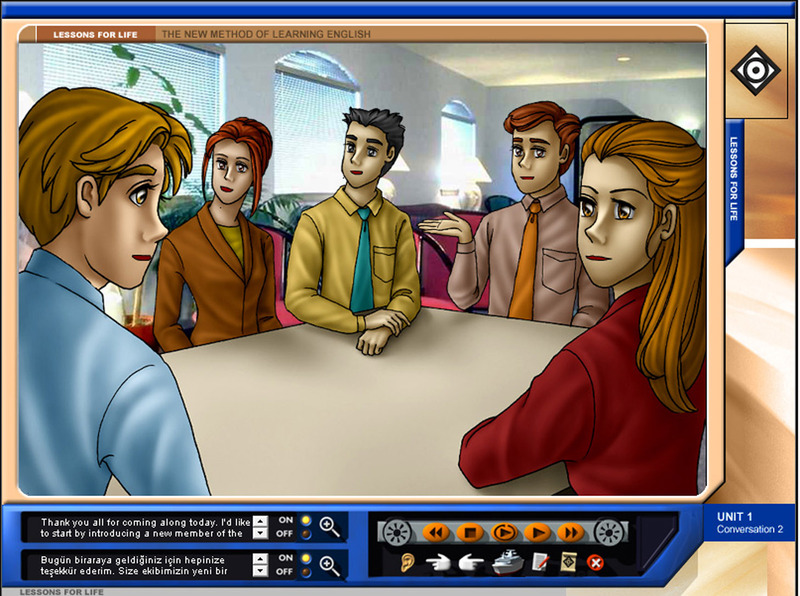 Minimum System Requirements: Intel Pentium/Celeron/AMD/Similar 667 MHz or faster processor; 128 MB of RAM or higher; 800x600 display resolution or higher; sound card; 2xDVD-ROM drive or faster; 100MB free hard disk space. 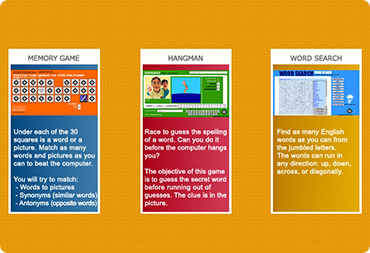 Licensed per DVD-ROM disc. 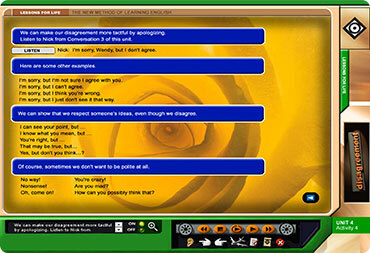 Software runs directly from disc. Need original disc to use the software. 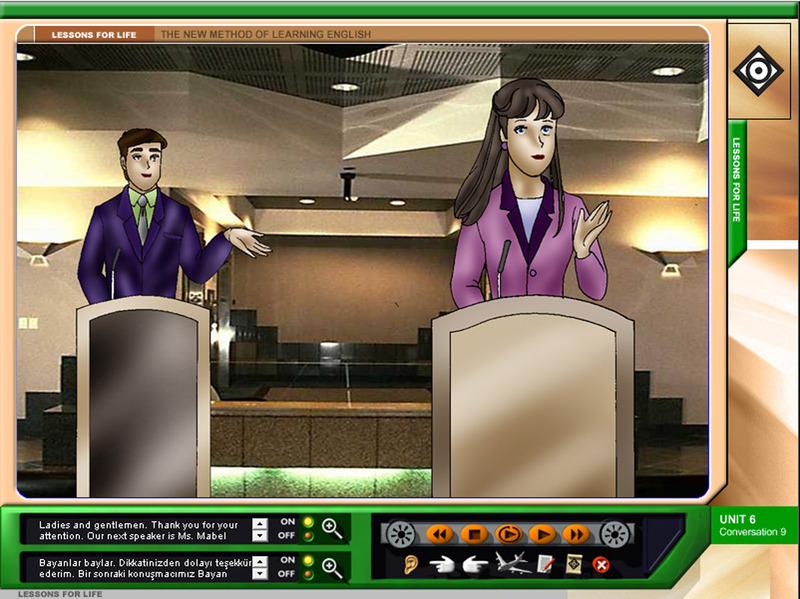 DVD-ROM can be used on any Windows based computer.